Deep network uncovered as fake "indy" rag is forced to disclose funding. Note: A copy of Prachatai's recent disclosure can be found here. Editor's Addition: A conflict of interest occurs "when an individual or organization is involved in multiple interests, one of which could possibly corrupt the motivation for an act in the other." Prachatai, in their own disclosure admits that such a conflict of interest indeed does exist, one they address by simply "giving us their word" their motivations are not corrupted. This is before we even consider the extent to which Prachatai supports the talking points, agenda, and websites of other Soros-funded globalist organizations, like Amnesty International (page 10), Global Voices, and Human Rights Watch which end up as posts and/or saturate Prachatai's "links" column. Bangkok, Thailand August 11, 2011 - After initially trying to downplay, obfuscate, and deny accusations that the Thai "independent, non-profit, daily web newspaper" Prachatai was in fact a US-funded propaganda front, a series of reports from Land Destroyer provided irrefutable evidence taken directly from the US government-funded National Endowment for Democracy website. Additional backpedaling, lying, and obfuscating prompted a follow-up report on Prachatai featuring several unlisted funding sources the duplicitous organization most likely thought were well buried. Video: Noam Chomsky in 1993 on the NED's projects in Nicaragua: "It's about what you would expect from a bipartisan democracy campaign - it's an attempt to impose what is called democracy, meaning rule by the rich and the powerful, without interference by the mob but within the framework of formal electoral procedures." Perhaps fearing a third onslaught, or in a desperate attempt to salvage its sagging legitimacy, just this week Prachatai has made a seemingly complete disclosure of their US government and US corporate foundation funding laying to rest its own supporter's erroneous assumptions and defense that the organization was "just barely getting by." In fact, they are doing quite well and receive millions of baht consistently year to year from the US National Endowment for Democracy, George Soros' Open Society Institute, and more recently USAID. In fact, an overwhelming 77% of Prachatai's nearly 8 million baht in funding during 2011 has come directly from Uncle Sam - overt funding that would cut the legs of legitimacy out from under any alleged "news organization." Still, Prachatai's utter contempt for both journalism and their readerships' intelligence is best encapsulated in a cautionary reminder posted directly before their full financial disclosure which claims, "it is important to state here that none of our foreign donors has ever put up any demands connected to the funds they provided, nor did they ever interfere with our reporting." One doesn't know whether to laugh or cry at such overt duplicity from an organization that has just spent the last 2 months trying to laugh-off, ignore, or otherwise belittle very legitimate concerns regarding its lack of transparency. The nature of Prachatai's political narrative is confrontational, directed at Thailand's establishment, especially Thailand's traditional institutions which exist independently of the Soros-funded networks of which Prachatai is now irrefutably exposed to be a part. Prachatai's goal is to undermine the Thai establishment's legitimacy while concurrently building up the legitimacy of the "international community," global "civil society," and to promote globalist talking points. 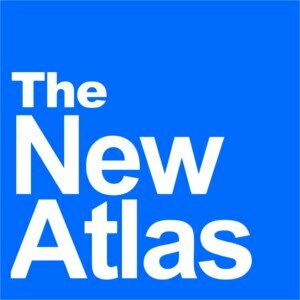 A visit to Prachatai's homepage reveals links running off to Soros-funded "Open Democracy," Soros and Ford Foundation funded "Global Voices," the globalist International Institute for Strategic Studies (which includes Robert Blackwill, former lobbyist of Thailand's globalist-backed stooge Thaksin Shinawatra), as well as a myriad of pro-Thaksin, pro-globalist, pro-color revolution websites that form the nucleus of Thailand's foreign-funded "civil society" movement both in and out of the country. 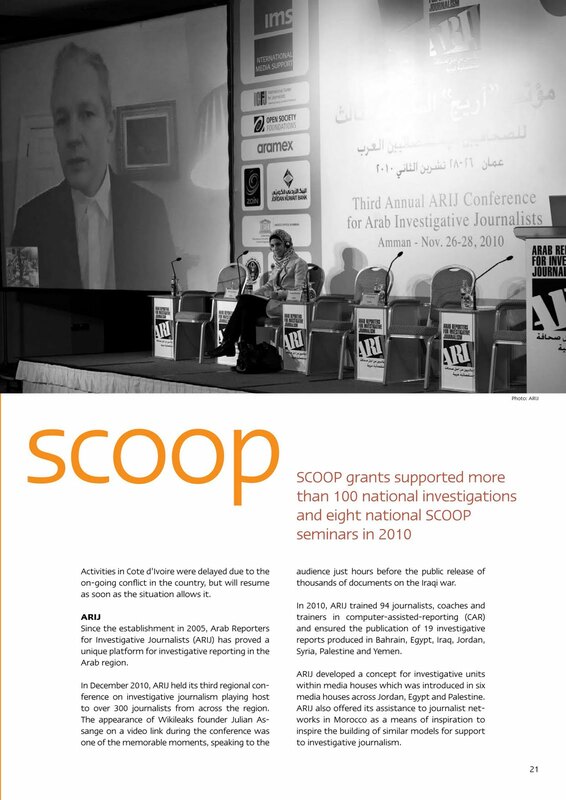 This is analogous to other US-funded organizations, opposition groups, and NGOs around the world including those of the recent US-funded "Arab Spring" which were all admittedly organized, trained, funded, and equipped (in some cases armed) years in advance by the United States government for the expressed purpose of initiating regime change throughout the Middle East and Northern Africa. 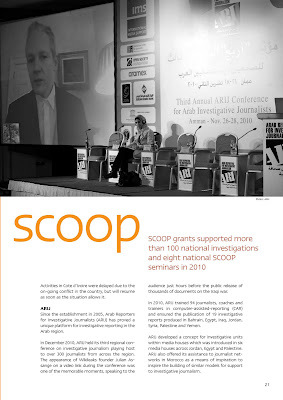 In fact, the New York Times itself would confirm this, stating that, "a number of the groups and individuals directly involved in the revolts and reforms sweeping the region, including the April 6 Youth Movement in Egypt, the Bahrain Center for Human Rights and grass-roots activists like Entsar Qadhi, a youth leader in Yemen, received training and financing from groups like the International Republican Institute, the National Democratic Institute and Freedom House, a nonprofit human rights organization based in Washington." The New York Times would go on to explain that "the Republican and Democratic institutes are loosely affiliated with the Republican and Democratic Parties. They were created by Congress and are financed through the National Endowment for Democracy, which was set up in 1983 to channel grants for promoting democracy in developing nations. The National Endowment receives about $100 million annually from Congress. Freedom House also gets the bulk of its money from the American government, mainly from the State Department." 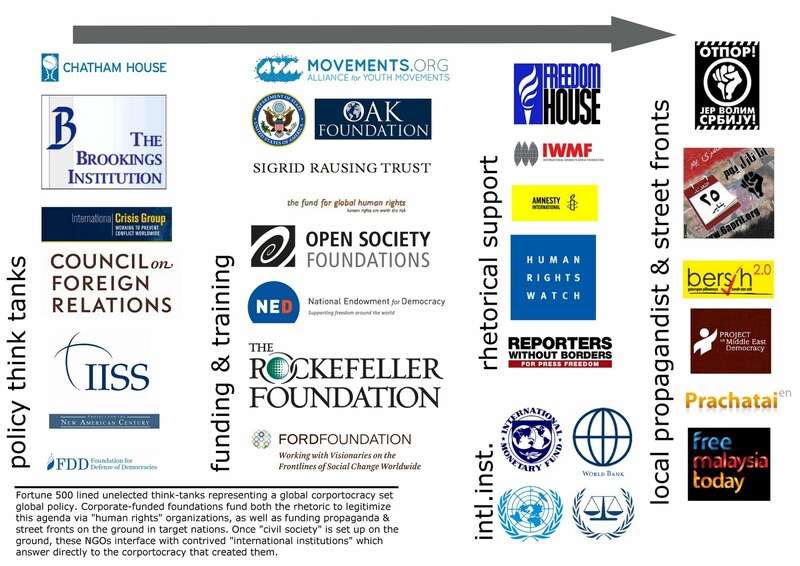 Digging into Prachatai's globalist funding exposes further the inner workings of the Wall Street-London global corporatocracy and how they disingenuously promote their agenda through NGOs, "civil society," and by perverting the noble ideals of human rights, freedom, and democracy. Prachatai, like its counterparts throughout the world, is a disingenuous and complicit helping hand, pleading ignorance and literally saying "so what?" when the subject of just who funds them is brought up. Prachatai, in their latest disclosure, breaks their funding down year-to-year. 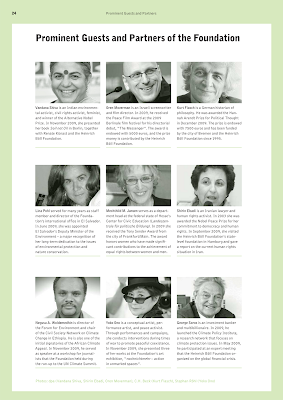 One name that is ubiquitous is George Soros and his Open Society Institute which has funded Prachatai millions of baht over the years, beginning in 2005 and continuing until today under the Soros-connected Heinrich Böll Foundation (HBF). HBF is a shameless promoter of supranational governance, pushing the verified fraud that is the "climate change agenda," and even helped Soros' Global Voices in networking and training Arab bloggers in 2009 to prepare them for the upcoming "Arab Spring." 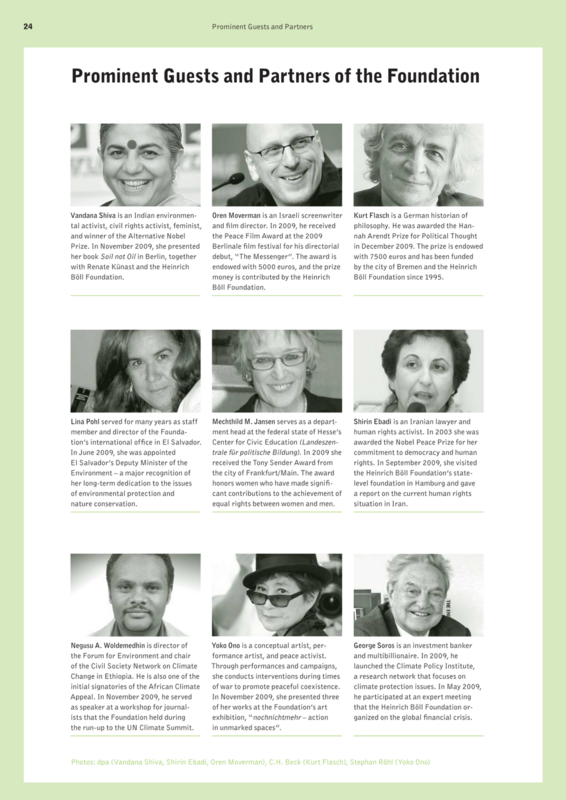 HBF's 32 page 2009 annual report is a globalist progress report that includes funding and supporting fake progressive-liberal projects and outright worldwide sedition. Prachatai's 2009-2010 funding included 1.79 million baht from the Media Development Loan Fund (MDLF), yet another Soros-funded globalist organization which also includes the US State Department and Soros-infested International Media Support (IMS) as donors. IMS literally trains foreigners to report the news according to Western standards & values, or in other words, according to the Western narrative. 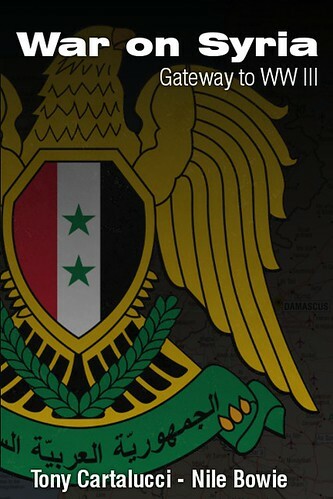 It is not surprising to see IMS active in every nation the US State Department is feverishly attempting to create unrest via its National Endowment for Democracy and Freedom House organizations, including Belarus, China, Iran, Ukraine, and across the Middle East. In one truly surreal scene taken from IMS's 2010 annual report, Wikileaks fraud Julian Assange appears via video link on a stage littered with the logos of IMS, George Soros' Open Society Institute, and the Fortune 500 corporate-fascist infested "International Center for Journalists" which suspiciously includes Bank of America's marketing officer and PR firm representatives from McKinsey & Co. and Edelman (a proud corporate sponsor of the Egyptian revolutions) on its board of directors. 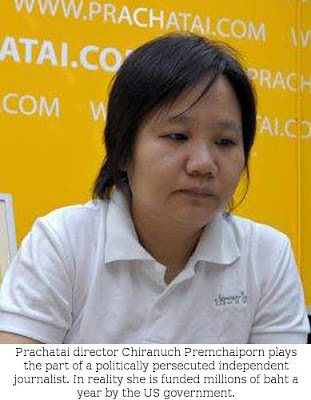 Another name that seems quite active throughout Prachatai's 8 year existence is the Rockefeller Foundation which initially bought the organization its computers and whose partner, the "Community Organization Development Institute (CODI)," funded Prachatai 1.89 million baht in 2004. CODI also boasts UN support as well as a partnership with the eugenicists at the Bill & Melinda Gates Foundation. There is also the Fund for Global Human Rights (FGHR) which has funded Prachatai over half a million baht over the course of two consecutive years. FGHR is nothing more than a funding arm for the Sigrid Trust who also funds the International Crisis Group, an unelected US think-tank that meddles directly in the internal affairs of other nations. In fact, ICG member Mohammed ElBaradei literally led the US-funded Egyptian revolution, a true testament to the disingenuous nature of both these "democratic awakenings" and the dubious personalities attempting to wrestle control away from embattled regimes around the world. We finally make our way to by far Prachatai's number one patron, certainly not its own readership - not by a long shot - but rather the US State Department-funded National Endowment for Democracy (NED), one of the most notorious, duplicitous organization in America, on par with the Central Intelligence Agency (CIA), as it literally works in tandem with the CIA's activities (along with USAID who is also funding Prachatai via their SAPAN project) in subverting governments and overthrowing entire nations for US corporate-financier interests. NED has funded Prachatai 1.5 million baht 3 years consecutively, including this year, along with USAID who has funded Prachatai an additional 2 million baht under the guise of the SAPAN Project which presumes to teach Thais how to conduct local government. And while Freedom House is not listed by Prachatai as a contributing, as it itself is also funded by NED, it is surely worthy of honorable mention. Freedom House contributes a steady stream of rhetorical support and nominations for various contrived awards like this years' "Deutsche Welle Blog Award" while Prachatai reciprocates by loyally copying and pasting any "helpful" Freedom House reports targeting Thailand or neighboring Asian nations. Despite Prachatai's own "who cares?" attitude regarding especially their NED funding, in reality there exists an immense disparity between the stated goal of NED, that is, "supporting freedom around the world," and the backgrounds and stated agendas of those populating NED's board of directors. The same could easily be said of Freedom House and its board of directors. Upon that board of directors, who, judging by their supposed mission to support "freedom around the world," we should find Nobel Peace Prize laureates, accomplished diplomats, and definitive examples of democracy in action. Instead, we have John Bohn who traded petrochemicals, was an international banker for 13 years with Wells Fargo, and is currently serving as a principal for a global advisory and consulting firm, GlobalNet Partners, which assists foreign businesses by making their "entry into the complex China market easy." Surely Bohn's ability to manipulate China's political landscape through NED's various activities both inside of China and along its peripheries constitutes an alarming conflict of interests. However, it appears "conflict of interests" is a reoccurring theme throughout both NED and Freedom House. William Galston: Brookings Institution (board of trustees can be found on page 35 here). Moises Naim: Carnegie Endowment for International Peace (corporate funding here). Larry Liebenow: US Chamber of Commerce (a chief proponent of SOPA), Center for International Private Enterprise (CIPE). Anne-Marie Slaughter: US State Department, Council on Foreign Relations (corporate members here), director of Citigroup, McDonald's Corporation, and Political Strategies Advisory Group. Richard Gephardt: US Representative, Boeing lobbyist, Goldman Sachs, Visa, Ameren Corp, and Waste Management Inc lobbyist, corporate consultant, consultant & now director of Ford Motor Company, supporter of the military invasion and occupation of Iraq in 2003. Marilyn Carlson Nelson: CEO of Carlson, director of Exxon Mobil. Stephen Sestanovich: US State Department, Carnegie Endowment for International Peace, CFR. Judy Shelton: director of Hilton Hotels Corporation & Atlantic Coast Airlines. The list goes on further, including Jeane Kirkpatrick, Leonard Sussman, and Max Kampelman. It is safe to say that neither NED nor Freedom House garners within its ranks characters appropriate for their alleged cause of "supporting freedom around the world." It is also safe to say that the principles of "democracy," "freedom," and "human rights" they allegedly champion for, are merely being leveraged to co-opt well meaning people across the world to carry out their own self-serving agenda. Organizations like Prachatai that take money from these confessed, ill-intentioned, meddling, neo-imperialist dens of degeneracy, are either knowing accomplices or remiss beyond explanation. In either case, their legitimacy was not compromised the moment they decided to hide their funding, nor after they fully admitted the compromised nature of their paid-for "journalism" when pressured with persistent irrefutable evidence. Instead, Prachtai's legitimacy was entirely lost the monument they decided to accept foreign funding in the first place - which as their own disclosure accounts for, was on day-one of their operations. 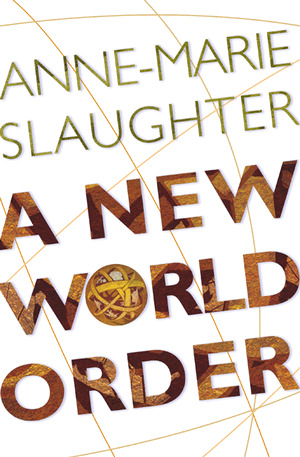 Image: While immature minds succumb to a Pavlovian giggle at the mere mention of the "New World Order," Anne-Marie Slaughter, formally of the US State Department, and now a NED director herself, has written an entire book about the inevitable global governance she has dedicated her life to ushering in. It is undeniable that a global oligarchy of incredibly wealthy and powerful corporate-financier interests are moving to consolidate power on a global scale, as imperialists have done throughout human history. They are destabilizing and destroying the old world, nation by nation, and replacing it with a new world of their own design, their "civil society." However, we see the means and ends to which these megalomaniacs gravitate toward. These are means and ends that are entirely abhorrent, self-serving and encapsulated in horrifying dystopian nomenclatures such as "planetary regimes" (current White House Science Adviser John P. Holdren, Ecoscience 1977), or as recent US State Department Director of Policy Planning Anne-Marie Slaughter calls it, the "New World Order." The nefarious, sycophantic helping-hands making this nightmare possible are foreign-funded traitors like Prachatai helping destabilize the old world and eagerly promoting the corporate-fascist funded, globally homogeneous "civil society." They are traitors not just to the Thai people and the Thai nation, but traitors to humanity, traitors willfully helping usher in global governance under the dominion of autocrats who openly plot a global scientific dictatorship. Prachatai most certainly looked at NED's board of directors during the last two months the Land Destroyer Report has been pressuring them to disclose their full funding and they most certainly know who truly funds them and what their insidious agenda is. Yet they press on, indifferent, even elated over rubbing their duplicity in the face of their own readership. Their financial disclosure begins with a brief history of Prachatai which includes sniveling accounts of police raiding their office, their director being arrested, and their foreign-funded propaganda website being systematically blocked by the Thai government, as if they are the victims of some gross injustice. They act as if anyone should be allowed to take foreign money, masquerade as journalists, intentionally mislead people, and undermine their own nation on behalf of a foreign government. As mentioned before, Prachatai, according to their own financial disclosure, year-to-year is anywhere between 77% and 100% funded by the US government and/or US corporate-funded foundations. This behavior here in Thailand, and around the world, by the helping hands of the globalist corporate-financier agenda is unacceptable. Stand up to these paid-for liars. Expose their treachery and their disingenuous abuse of liberal and progressive ideals. Stand up against their horrific exploitation of human rights and representative governance to promote their paymasters' agenda. The world does face tyranny and its name is globalization. Globalization can be seen in full effect across the deserts of Iraq, throughout the mountains of Afghanistan, and now along the shores of Libya and in the streets of Syria's border cities. That is the globalist future fake-progressives like Prachatai are the harbingers of. There will be no liberal singing tomorrows in Prachatai's Thailand, just as there are no singing tomorrows in Egypt where the paymasters, like John McCain of the International Republican Institute, instrumental in funding and training the Egyptian protesters, now squat upon the Egyptian economy with Fortune 500 corporate-fascists prepared to sink their parasitic probosces into their "newly liberated" markets. That is the future of globalization. That is the future Prachatai is trying to sell Thailand, and just like with their funding, they will deny the truth until the very bitter end. Notes: 1 US Dollar is equal to approximately 30 Thai Baht/baht. Prachatai also has done a "project" for the "People's Empowerment Foundation," another NED-funded NGO front that most recently took part in a Bangkok demonstration for Malaysia's NED-funded Bersih movement.